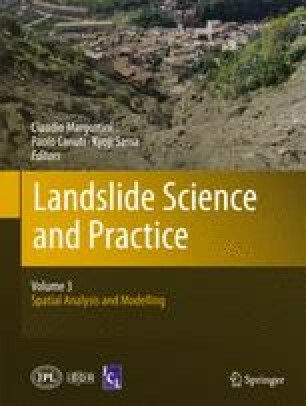 In tropical mountainous regions, heavy rainfalls often induce landslides and mudflows. Mexico is continually subjected to natural hazards. In February 2010 the town of Angangueo in the state of Michoacan was devastated by a huge muddy debris flow. Use of morphological and climatic parameters of the affected areas can be incorporated into a model that simulates the extension of this natural disaster. It appears that zones whose slope aspect is against the flow direction represent the most vulnerable zones. The model described herein can easily and rapidly be applied to any other tropical region to reliably prevent such catastrophic phenomena. Because in many areas the colluvial slope deposits register multiple cracks and active scars, an assessment of the risk related to slope movements in Mexico is essential.